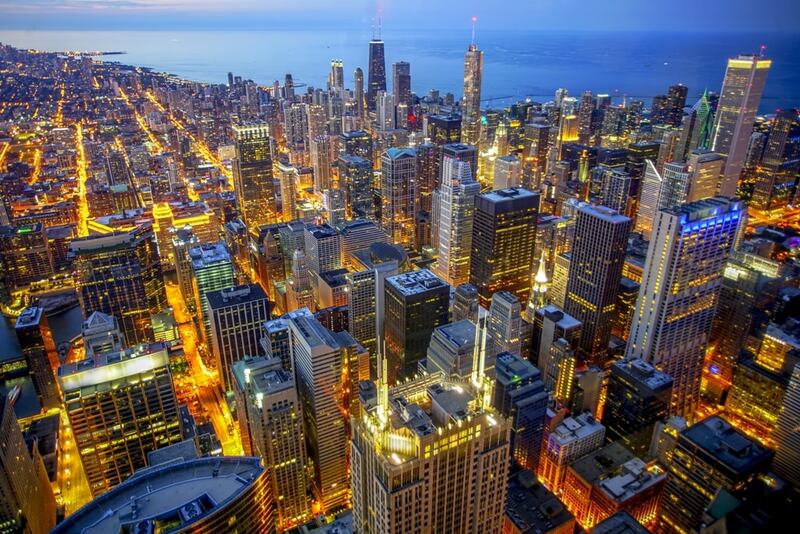 Chicago, dubbed as the Windy City, and the third largest city in the United States, is the birthplace of the skyscraper. 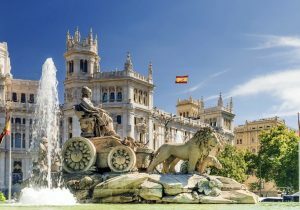 It’s a huge vibrant city with an incredible buzzing energy and a unique vibe, the perfect multicultural melting pot, and some of the best architecture you’ll ever lay your eyes on. You’ll spend the two days you spend in Chicago looking upwards since the dozens of skyscrapers and incredible buildings will draw you into their magic as you walk through this public art display of buildings. 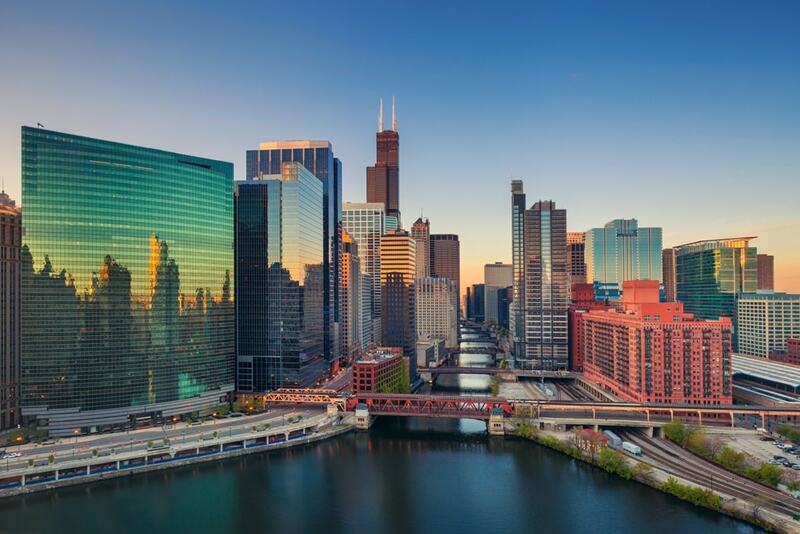 This dynamic metropolis is just waiting to be explored, and you’ll have the chance to check its landmark museums, the incredible architecture, the thriving art scene and of course…the deep dish pizza. The first skyscraper in the world was built in Chicago in 1885 and ever since then, the architectural scene kept growing and growing and now Chicago has three of the tallest buildings in the world – The Willis Tower, the Aon Center and the John Hancock Center. There’s also a thriving dance and music scene from blues and jazz to house music, and an incredible dining scene with all types of food ranging from Italian to Taiwanese as Chicago boasts over 5000 restaurants, and is the home of the famous deep-dish pizza. 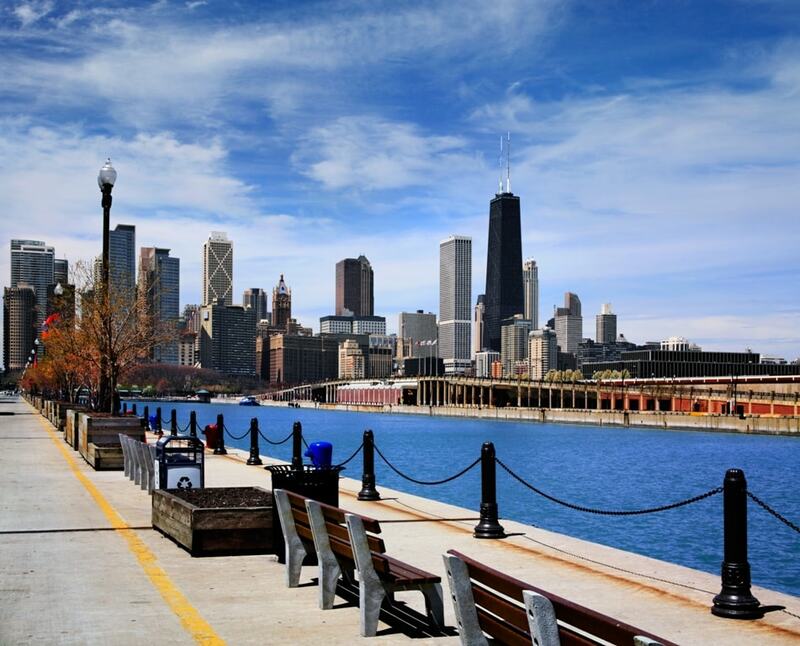 Spending two days in Chicago and seeing all the major attractions is very doable, as you’ll be exploring the incredibly diverse neighborhoods, the museums and getting completely lost in its inspiring skyline. You might be interested in: The most Instagrammable Spots in Chicago. 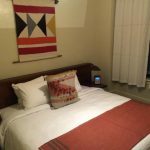 1 Two days in Chicago: Where to stay? 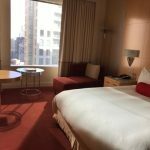 Two days in Chicago: Where to stay? 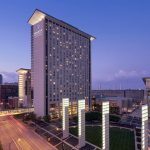 There is an abundance of hotels in Chicago, but choosing the right one is an essential part of your trip, so we have compiled a list of the best hotels in Chicago to help you on your two-day trip to Chicago. 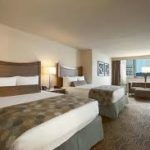 This hotel is located in the River North neighborhood, and the John Hancock Observatory and Millennium Park are 1 km away from the hotel, the Magnificent Mile is 2 minutes away and the airport is 25 km away. There are private and shared rooms, free wifi, seating areas, a bar called the Broken Shaker, and a café that serves Nicaraguan gourmet coffee and breakfast. The Hyatt Regency is located on the Magnificent Mile and the navy pier, millennium park and art institute are all less than a mile away. You’ll be getting incredible views of the city in all 2019 rooms in the hotel, free wifi, iHome alarm clocks and a mini bar. The BIG Bar offers BIG cocktails, incredible skyline views and a great menu. This is a luxury hotel situated across the river from the Magnificent Mile. 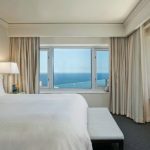 You’ll be getting dazzling views of the river and the city, and the Art Institute of Chicago, the Shedd Aquarium and the Field Museum are very close by. Don’t forget to check out the Penthouse Ballroom, Grand Ballroom and the Terrace. Ranked as one of the best hotels in Chicago and for good reason! Think marble bathrooms with separate tubs and showers, a Parisian-inspired café, picturesque views of downtown Chicago, and gorgeous furnishings to the rooms! Steps away from the Magnificent Mile, the Four Seasons Hotel is extremely central to all of the best restaurants, shops, and nightlife. You can have soundproofed spa treatments, or check the Alium dining room, embrace the lake and skyline views, and enjoy the elegant décor all around. 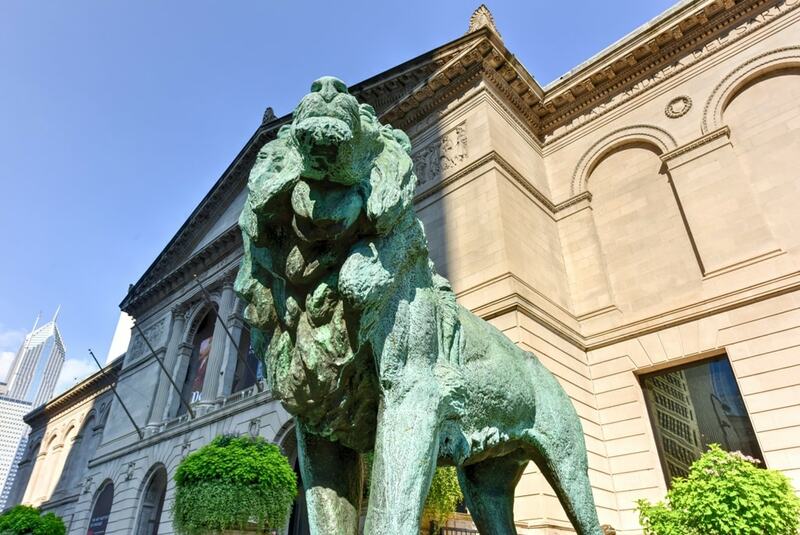 Start your first day with exploring the artsy side of Chicago by visiting the second largest art museum in all of the country, with works of art from some of the best artists in history. 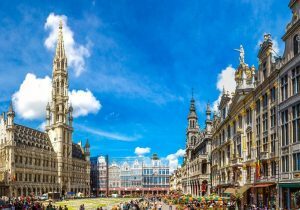 It was ranked as the best museum in the world in 2014, and the collection of impressionist and post-impressionist art it has is second to Musee d’Orsay in Paris. You’ll be captivated by the greatest impressionist paintings, and the modern and contemporary art. Artists like Renoir, Picasso, Warhol, Pollock, Dali and Matisse all have their works up in the museum, and the collection actually spans thousands of years. 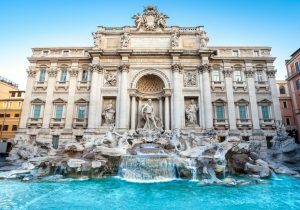 There are over 300,000 works or art and not only are there paintings, but there are also prints, photography, sculptures, architectural drawings and much more. The Thorne Miniature Room –Showcasing the detailed interior of European houses up to the 1930s. Open daily from 10:30 am to 5 pm. 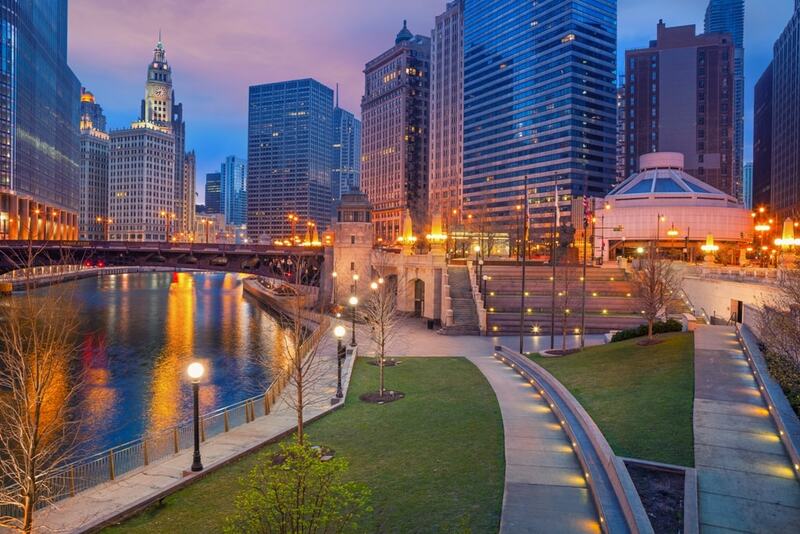 Located in downtown Chicago, this park is the largest public space in all of Chicago that was built in 2004, and is impressive, varied, fun and one of the top destinations for both tourists and locals. It’s also free, so you can have your fun exploring the park without having to spend a dime! You can check out the Jay Pritzker Pavilion, an outdoor concert venue, Lurie Gardens, or the interactive crown fountain along with all of the shopping areas nearby. It now presents the Tree Lighting Ceremony every Christmas. 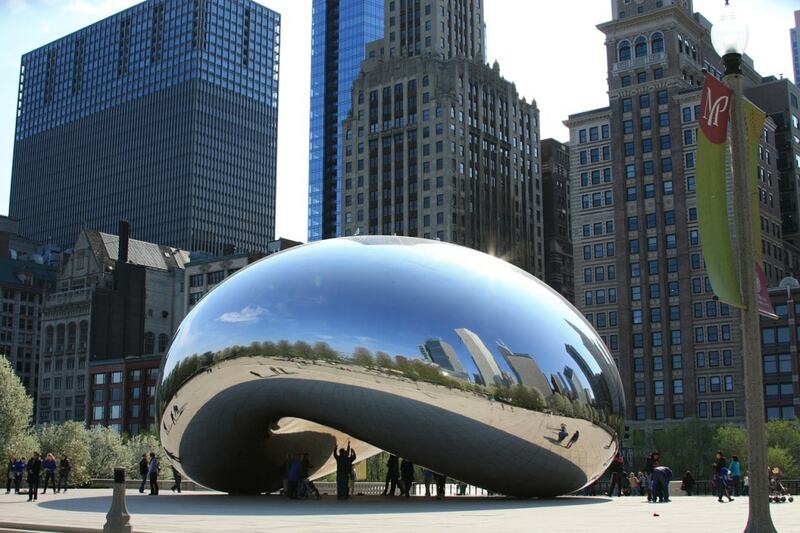 Better known as “The Bean”, this sculpture is not only one of the highlights of Millennium Park, but of all of Chicago. It was designed by Anish Kapoorand is made of 168 polished stainless steel plates, and gives off the general appearance of liquid mercury. What’s interesting about it is that it’s highly reflective and captures the entire skyline of Chicago showing buildings like the Crain Communications Buildings, the Aon Center, and the rest of the nearby buildings. In Christmas, it also turns into a real life giant snow globe. Tourists usually spend their time there taking fun house mirror effect pictures, walking under it, taking quirky pictures, and checking out the shops nearby. 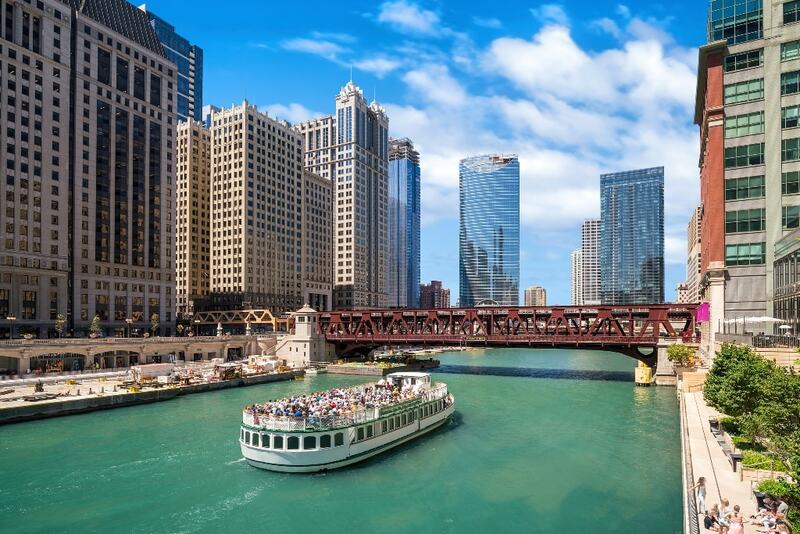 Hop on the architectural cruise down the Chicago river and spend 90 minutes of your day learning about the city’s architecture that made it one of the most important metropolises in the world. As you sit in open-air seating with a great sound system, and a full service bar, you’ll slowly pass by more than 50 buildings along the Chicago River. 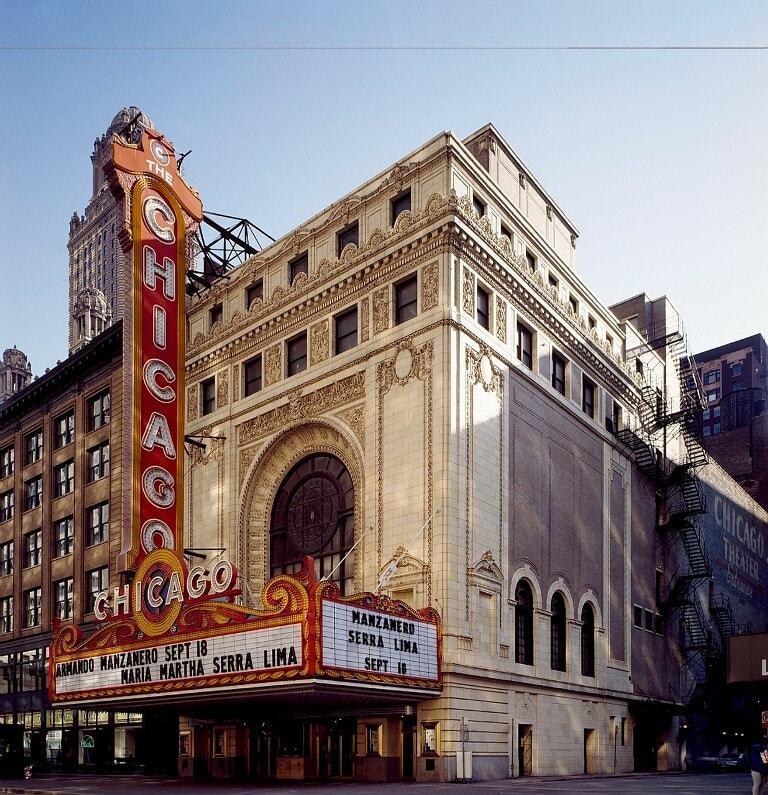 An expert in architecture will not only introduce you to all the buildings and tell you the history of each, they’ll also talk about two of the main events that shaped Chicago and its architecture – one of them being how Chicago rose from the Great Fire in 187. In 90 minutes, you’ll be taken through a journey of exploring the history of Chicago and how it was turned from a small settlement to one of the largest modern cities. And buildings by world-famous architectures like Mies van de Rohe and Merrill. 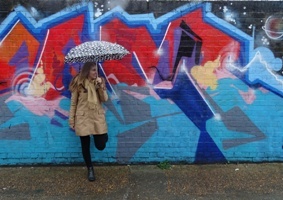 A 20 minute walk to…. Now it’ll be time to walk The Magnificent Mile! One of Chicago’s most dynamic areas stretching between Lake Shore Drive and the Chicago River. It’s a mile long, and is the perfect place to check out the 460 shops there, the 275 restaurants, and the architectural highlights as well. You’ll be torn apart as you won’t know whether to check out the shops, people-watch, visit some of the galleries, or stare at some of the most incredible buildings like the Wrigley Building and The Tribune Tower along with the Historic Water Tower which is the longest standing structure on Michigan Avenue. 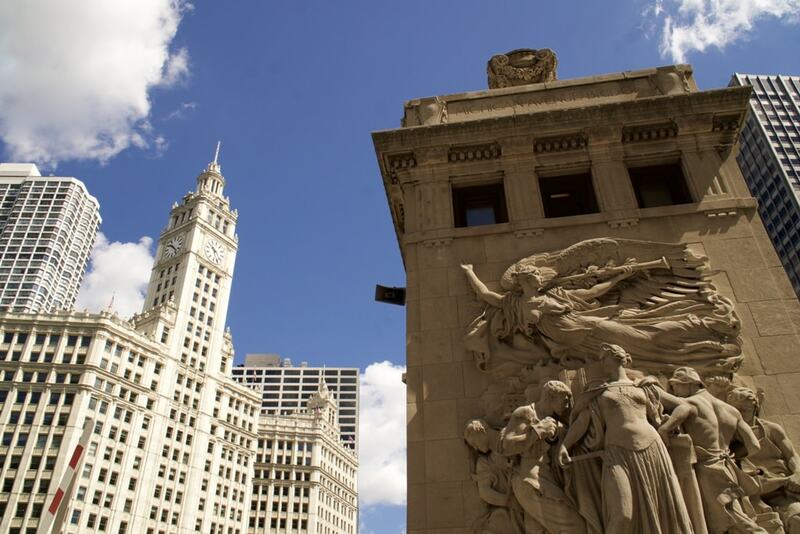 Walk over to one of Chicago’s architectural wonders! 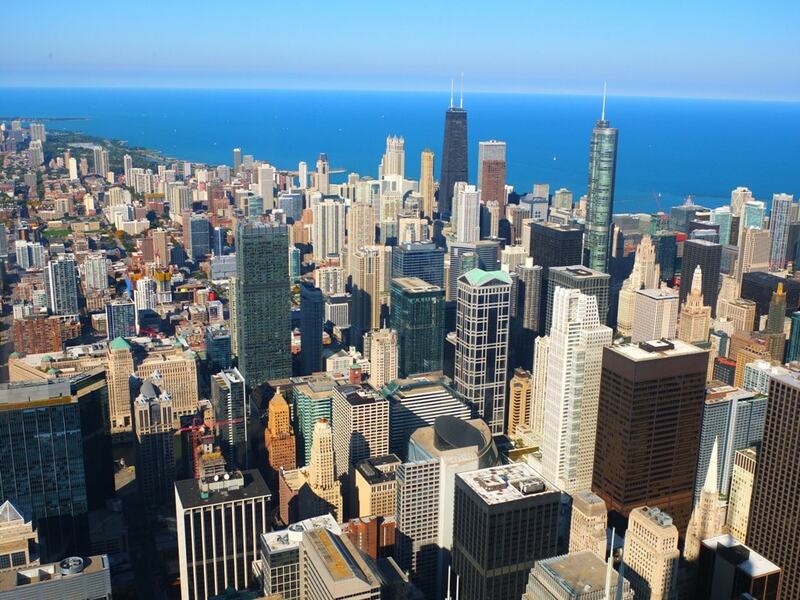 You’ll be able to check out the 360 Chicago Observatory which has an observational floor located on the 94th floor. Not only do you get to see amazing views of the states, and others as well including Michigan, Indiana and Wisconsin, but you have to experience The Tilt for an extra $7. You’ll stand in a glass box which then tilts to 15, 25 and 30 degrees where you’ll be able to get a downward facing view of the city and you can also have a drink at the bar on Thursdays while you enjoy Music in The Sky where DJs play music from 6 to 9 pm. This is where you’ll go to go through a journey of exploration of all of the cultures and environments from all around the world. You’ll get tours from exciting and weird areas of the world in this 400,000 square feet exhibition space. The largest Tyrannosaurus Rex fossil ever found. You’ll be able to go to an Underground Adventure where you can check out the giant animatronic wolf spiders, or check Sen-Wroset III’s funerary boat, how biodiversity is preserved at Restoring Earth. Opening hours: Thurs- Monday from 10 am to 4 pm. Admission: Starting from $22 until $36. After going through a journey in time, you’ll now be able to explore the marine life with the hugest variety of marine life. It is actually one of the largest indoor aquariums in the world with over 35, 200 living creatures around the galleries. There are over 1500 species of animals all living, and you can check out different types of marine life in exhibitions like Waters of The World, OR The Caribbean Reef, The Amazon Rising (which showcases all the stages of flooding and how animals adapt to the growing waters), and The Wild Reef. Opening hours: Every day from 9 am to 5 pm. 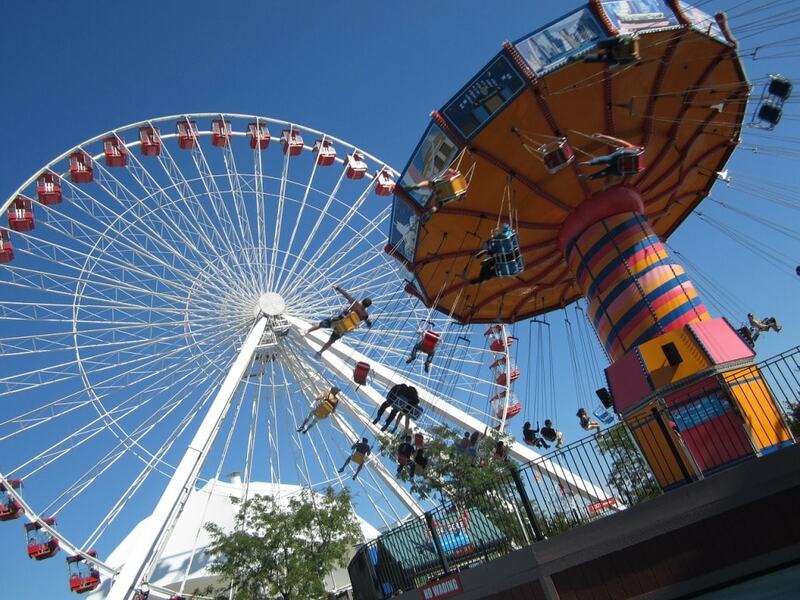 The Navy Pier is an iconic city landmark, and is an overall fun destination for both adults and children. 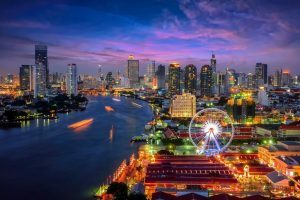 This is where you could have boat rides (including the extreme thrill ride), or check out museums like the Smith Museum of Stained Glass Windows, stroll around the gardens and the fountain, have fun on a carousel, or ride a 15-story Ferris wheel. There is a botanical garden, crystal gardens, an IMAX theatre, and the Shakespeare Theatre. This is where you experience a view like you’ve never seen before. In this world-class family attraction you will be able to have unparalleled views of not only Chicago, but also 4 neighboring states. The Ledge, is basically 4 glass boxes that extend outside of the Tower where it’s made of glass on the ceilings, floor and all of the sides. You’ll feel like you’re floating in the air as you stand on the observation deck at the top of the building. 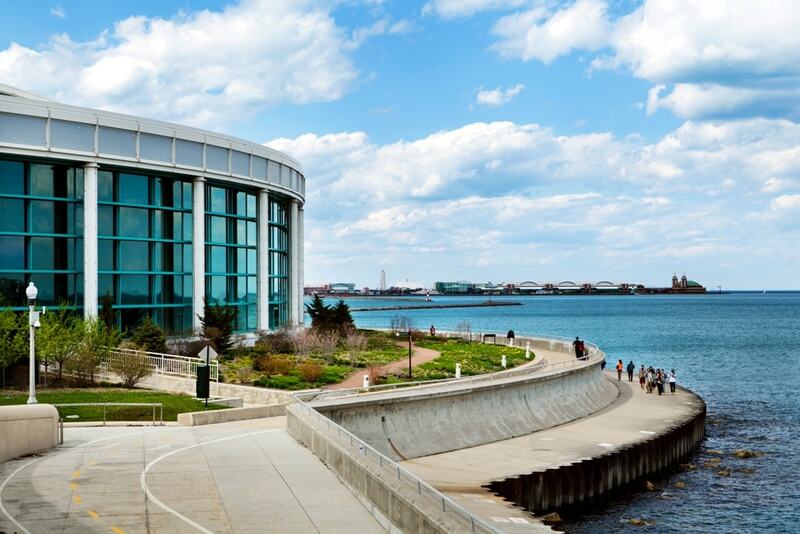 What makes this place more interesting, however, is not just the incredible views (that you can get at John Hancock tower), but also the exhibitions, the interactive technology, and the visuals this place offers. You’ll start by watching “Reaching for the Sky”, a movie that talks about how Willis Tower was created and then the rest of the exhibitions will showcase the history of Chicago and its buildings. Chicago is best known for its deep dish pizza. It’s just like pizza but with a thicker crust, a lot more sauce and cheese and the pizza itself is deeper. Gino’s Pizza is a Chicago based restaurant chain which is mostly famous for its interior walls where guests can write on, where there is graffiti and etchings everywhere, and the overall atmosphere is amazing. 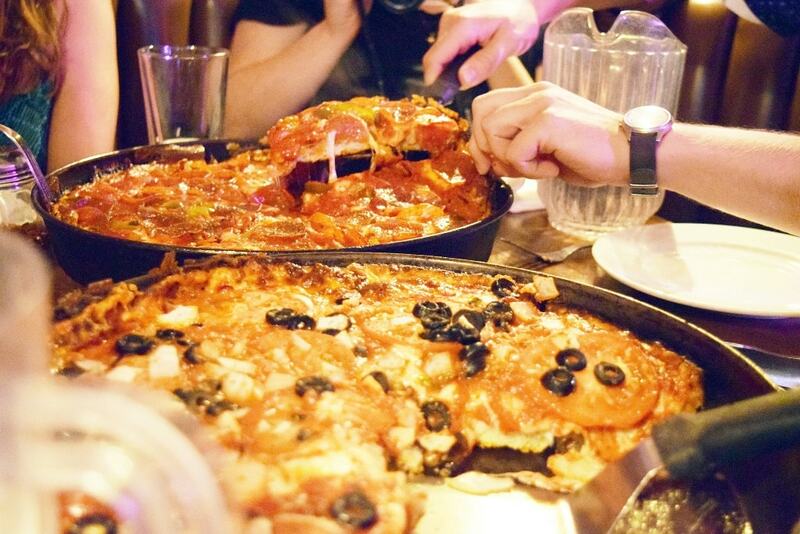 The actual restaurant fits over 500 people, but there will always be long lines, but the Chicago-style pizza oozing with cheese and sauce is most definitely worth the wait! 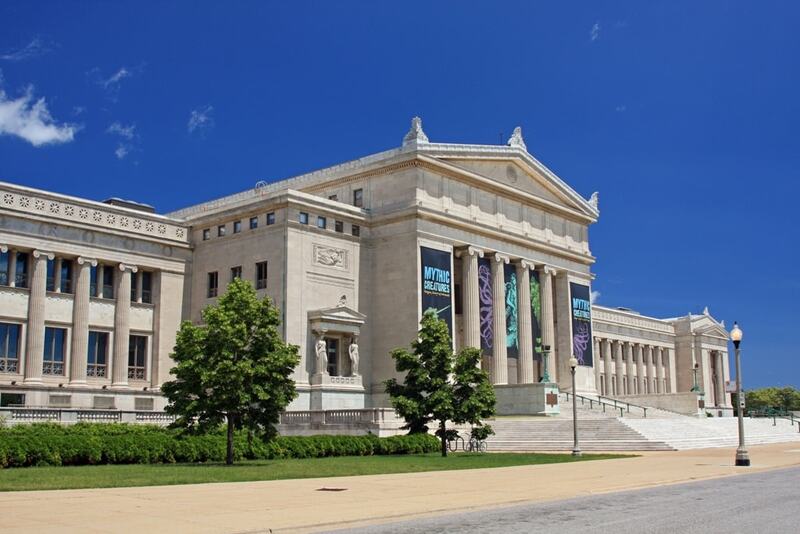 Tip: If you are planning to visit a couple of Chicago’s attractions then a good way to save money and time is to buy the Go Chicago Card that offers free admission to more than 25 activities, attractions and tours including SkyDeck Chicago, Field Museum, Hop-On Hop-Off Big Bus Chicago: 1-Day Classic Tour, 360 CHICAGO, Art Institute of Chicago – Fast Pass Admission, Museum of Science and Industry, Navy Pier Centennial Wheel and Rides, Chicago Architecture River Cruise, Classic Lake Tour, Panoramic and Scenic North Side Tour, LEGOLAND® Discovery Center and many more. Find more information and buy your Go Chicago Card here. 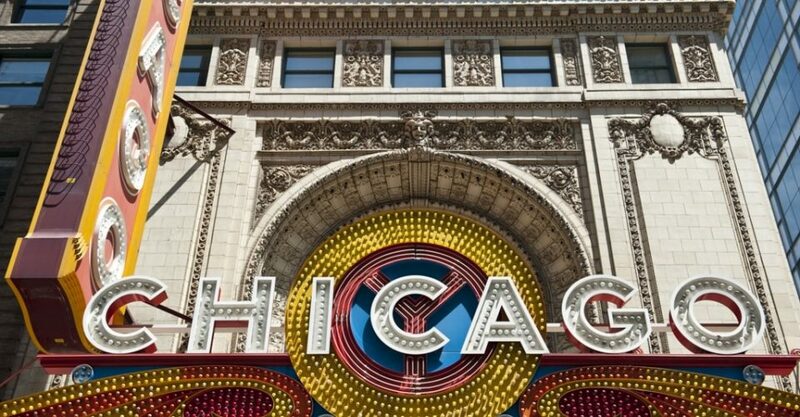 In the two days you’ll spend in Chicago, you’ll be ale to fully immerse yourself in this metropolitan city, you’ll be enamored by its constant buzzing energy, and you will never get over the renowned architecture that will make any other city look bland in comparison!